It’s not a secret that DELL is declining in its profits in the recent years. But, last year there was a remarkably huge pickup in net sales. Despite this pickup I presume DELL will have more back luck this year and years ahead. Why do I say this? 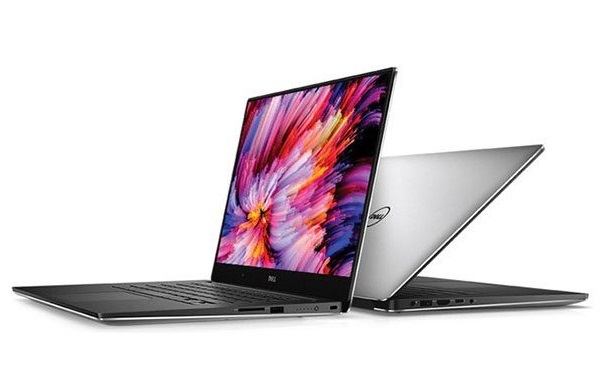 I just spent over $1500 to a brand new DELL XPS 15 9570 which has a spacebar that does not work properly. The spacebar does not register all presses. I investigated the issue and found out the upper edge of the button has a problem, if you press there it does not recognise any key press. If I press the middle or lower areas of the spacebar it works fine. But, the problem about 20% of my spacebar key presses are on the upper edge and I am already having a hard time typing on this brand new system. I really felt like I lost a lot of money. How many customers like me could there be? I think many. I am a content creator and I use my laptop to type a lot of stuff. I also use for other purposes such as photo editing and graphics stuff. Other than typing the DELL XPS 15 9570 is a wonderful machine. But, when you spend $1500 you expect the machine to be perfect, everything has to work top notch. I believe the people in development section who are responsible to put new laptops to extreme tests failed their jobs. If I had known of this problem I would have bought an ASUS laptop. I really regret buying this DELL laptop. Another problem I noticed after few of use is the ports are too close to each on the left side. When I have my barrel power line connected I can’t plugin some of the USB sticks. This kind of details are not well addressed in their flagship laptop. I think after few months of use I will have more negative comments. There is no doubt that I love the speed, port selection, screen colours and overall design of the machine. Some people have commented on forums it has overheating issues as well, yes it does have but for my regular I do not have that issue. The first time I turned on I had thermal issues near left palm rest, that’s where the SSD NVMe is located. I bought a Samsung 970 Pro SSD separately and replaced immediately and it solved the thermal problem right away. Right now I feel very comfortable while typing, of cause without considering the annoying spacebar problem. I am not in the US and any replacement or fix for me would be very difficult and time taking. I do not want to even to try. I bought this over Ebay. First time when I checked everything it worked well, however I failed to test keyboard well. Who would think there would be one faulty key anyway? So, I gave excellent feedback to the seller. Also, I do not want to send it back to him, it is most likely not his fault. The machine came wrapped in plastic and I felt it was totally new, so there is no point of returning to seller. After this problem I read some forums and noticed some other users have also rised the same issue. If DELL is making customers unhappy I think the company would eventually get bankrupt. Do not get me wrong, its not only for DELL, any company that does not listen customers would eventually find it out of business. I think they really have to recall the faulty machines and give compensation or replacement.